Nothing exudes the holiday spirit quite like a new Rancid album — this year’s perfect stocking stuffer. 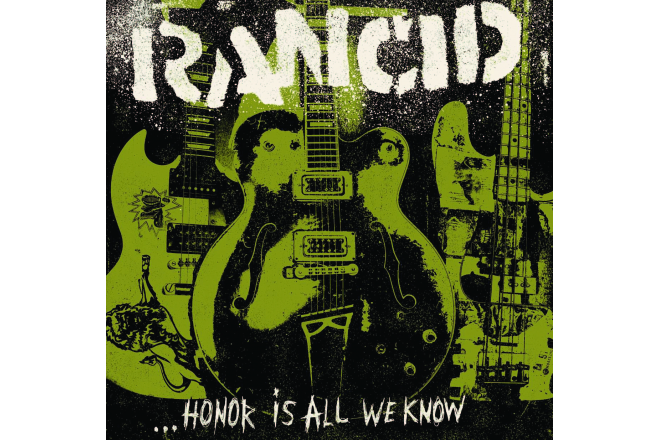 “…Honor Is All We Know” marks the punk rock band’s eighth studio album and its first release since 2009. Punk veteran Tim Armstrong continues to lead Rancid head-on into the fire pit with his unmistakable, gritty vocals and anarchistic, yet upbeat, agenda. Along with longtime bandmate Matt Freeman (bass, vocals), Lars Frederiksen (guitar, vocals) and Branden Steineckert (drums), Armstrong finds a sweet spot between staying true to his punk roots while pushing the tight-fisted genre into the future. The album opens with a familiar frenzied pace on “Back Where I Belong,” marking the band’s valiant return after five years between recordings. This is a no-frills announcement and a reason for listeners to perk up and pay attention. “Raise Your Fist” follows in all of its anti-authority glory. Chock-full of enough “Oi Oi Oi” chants to rally the masses, this 3-minute track is quintessential Rancid retaliation. With reminiscing lyrics and a familiar Armstrong tempo, “Collision Course” harkens back to Rancid’s “…And Out Come the Wolves” days, when American punk rock found itself on mainstream music’s frontline. “Evil’s My Friend” brings in that reggae-ska flavor that has peppered Rancid’s sound over the decades, making for a perfect skanking song. On the title track, Frederiksen and Freeman join Armstrong on lead vocal. This is initially distracting, but speaks volumes of the band’s message of brotherhood and unity. “A Power Inside” is the perfect follow-up to the title track, continuing the positivity of union and inner-strength no matter the cards life has dealt. “In The Streets” is a punk rock “Freaks Come Out at Night,” chronicling the happenings of late-night street corner huggers. On “Face Up,” Armstrong gives thanks to another day in the struggle after surviving a bar fight. Though tapping out after just 1:35 minutes, this short track still manages to translate vivid imagery and gratefulness to the listener. The drum-heavy “Already Dead” is a hell-raiser, made for flashes of leather and spikes in a mosh pit full of fast flying elbows and bloody noses. The devilish “Diabolical” speaks to the evil tug-of-war that violence pulls out of the human race. On “Malfunction,” Armstrong and Frederiksen trade off verses smoothly. While the track stays in line lyrically, the drum and guitar arrangement feels almost like a Rolling Stones tune—a little more rock than punk, but a well-received deviation from the norm. “Now We’re Through With You” calls out the disloyal and maintains the band’s focus on doing right by each other because forgiveness is not an option. “Everybody’s Sufferin’” brings in more surfer-ska and stands out among the other tracks with organ-tones and a slower pace. The album closes with a similar vengeance and fever as it opened on “Grave Digger.” Another track shared by Armstrong and Frederiksen, “Grave Digger” keeps fans in a bit of a purgatory, greedily wanting more. Fortunately for fans, there is a deluxe iTunes version of the album that features an additional three songs. Collectively, “…Honor Is All We Know” falls in line with typical punk rock albums in that it clocks in at just under 33 minutes. For those who lack the attention span to listen much longer, it is a perfect departure from the real world in about the time it may take to drive to work. While lyrical intricacies have never been Rancid’s strong suit, the simplicity in message and arrangement continue to serve as a solid backbone on which to build. Despite the fact that Rancid peaked in the mid-90s, the band continues to deliver music with a fresh sound that appeals to the old underground fans as well as young punk rockers who are just discovering the boisterous genre. As long as Armstrong is at the mic, punk rock will have a distinct voice that will perpetuate a message of unity amidst the defiance. “…Honor Is All We Know” succeeds in this light, and proves that Armstrong and his crew show no signs of backing down from what they came to do—speak loud and proud with a fist in the air and a fight in their hearts. To follow up the success of his first solo album, “Blunderbuss,” White decided to take a new approach to songwriting, making the two albums quite distinct from one another. “Lazaretto” pulls inspiration from a collection of plays White wrote when he was 19 years old and recently rediscovered. Over the course of a year and a half, characters and storylines from White’s 19 year old imagination found homes in each of the album’s 11 tracks. 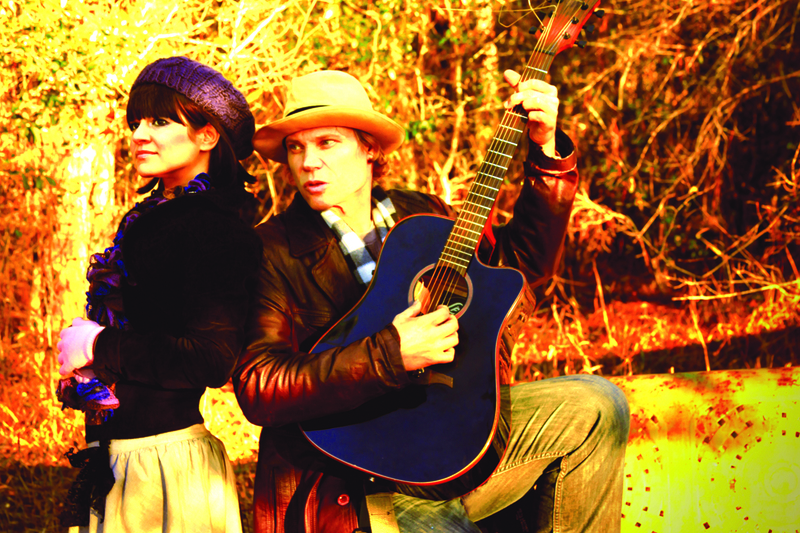 “Temporary Ground,” along with “Entitlement,” capitalize on traditional country instrumentation and harmonies, but do not commit completely to the genre. On both tracks, White stays true to his distinct vocals, but surrounds them with twang harmonies, pedal steel and fiddle, submitting his own take on country music. A river of sarcasm runs through “Entitlement,” and while it may have been influenced by White’s observations in the mid-90s, lyrics like, “Though the world may be spoiled and getting worse every day, don’t they feel like they cheated somehow,” seem to ring even truer today. “Would You Fight For My Love?” features intense percussion and eerie howls, but what stands out most is White’s passionate yet panicked vocal performance, implying that perhaps his more recent turbulent relationships weaseled their way into the song. The album’s only instrumental, “High Ball Stepper,” takes listeners on a dark ominous walk through the woods, as a banshee-esque violin hollers underneath White’s lightning rod electric guitar solos. “Just One Drink” is a fun juke-joint cocktail of blues and country that channels a little Buddy Holly, while “Alone in my Home” ramps up the pop factor with flirty keys and day-dreamy female harmonies, despite the song’s dejected theme of solitude. “That Black Bat Licorice,” which competes with “Lazaretto” as the album’s top rock and roll track, brings in yet another genre with reggae-like backbeats. With ironic lyrics like, “I want to cut out my tongue and let you hold on to it for me, ‘cause without my skills to amplify my sounds it might get boring,” perhaps White is foreshadowing the need to keep his strong opinions about others to himself, or perhaps not. Overall, “Lazaretto” translates like a collection of short-stories written by different authors, reaffirming that White’s experimental nature is alive and well in Music City. The album offers listeners a genre clash that could initially feel distracting, but instead keeps ears perked for nuance and surprises around each bend of the chords. The instrumentation, while crazy and impulsive at times, stands tall against the lyrics, proving once again that White is not in it for the songwriting glory, but rather the overall auditory texture of the song. As White’s personal life and professional opinions continue to stand blazing hot in the media’s spotlight, it is obvious that strong ties will be made to the themes in “Lazaretto.” However, the truth is that while many of the tracks could be interpreted as intimately tied to his current woes, listeners and critics will never quite know whose story White is telling, and in that intention lies the genius that is Jack White.